Ranked-choice voting is a good start, and with other legislative and recruiting advances, more women will be elected. While more women of color were just elected to the U.S. House and Senate than ever before, the overall number of women in Congress remains the same, the number of women governors dropped to just five and women’s share of state legislative seats is still under 25 percent. The United States now ranks 99th among nations for the representation of women, a steep decline from 44th in 1995. Strategies for electing more women have focused on incremental steps, but new research points to systemic approaches that include funding targets and fairer voting systems to advance women’s representation. In 1993, the Pine Tree State ranked 15th in the nation for gender parity, with a score of 13 on Representation 2020’s Gender Parity Index, which tracks the number of women in local, state and federal office. A gender parity score of 50 means that there are an equal number of men and women in elected positions in government. Maine currently ranks seventh, with a parity score of 23, and will likely drop to eighth based on new calculations that incorporate the November 2016 election outcomes. Maine has elected three women to the U.S. Senate and three women to the U.S. House of Representatives. Margaret Chase Smith, a Republican, was the first woman to serve in both the U.S. House (1940-1949) and the U.S. Senate (1949-1973). 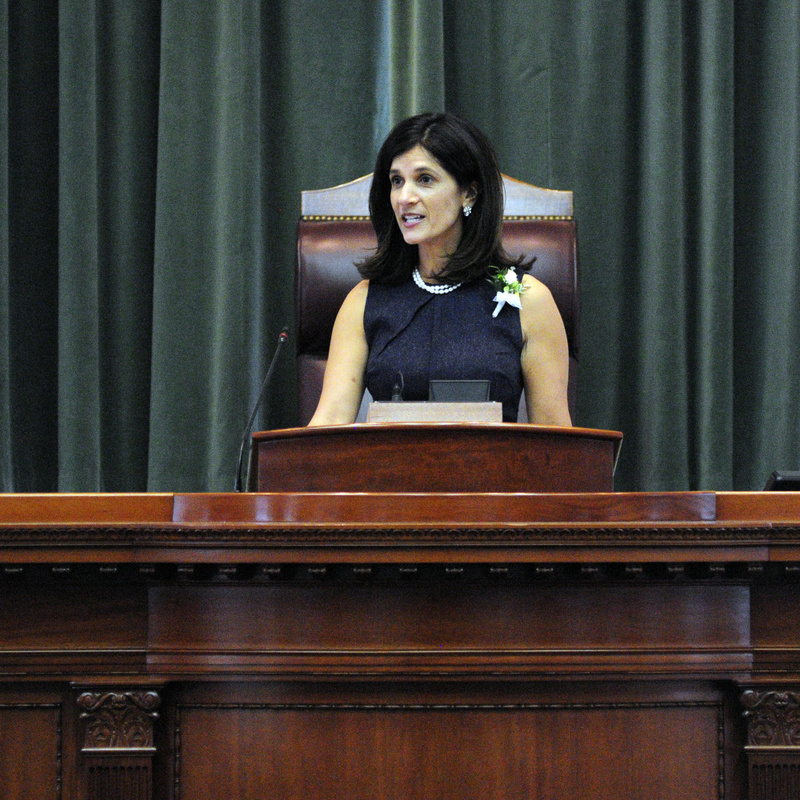 While Maine has never elected a woman governor, there is a woman elected to each chamber of the 114th Congress. The percentage of women in the state Legislature has dropped from 33 percent in 1991 to 30 percent in 2016. We know Maine has led the nation in advancing democracy. In November 1919, women in Maine won the right to vote. Ninety-seven years later — almost to the day — Mainers adopted ranked-choice voting in a 52 percent to 48 percent vote. Why does ranked-choice voting matter for women? It gives voters the power to rank candidates in order of choice. Voters can support the candidates they like the best without fear their vote will help the candidate they like the least. In the San Francisco Bay Area, the group Representation 2020 studied the impact of ranked-choice voting on women and people of color. The impact is notable: More women and women of color were able to run and win. Structural reforms are one of the main reasons that 99 nations and a growing number of U.S. jurisdictions are electing more women, proving that we need to be intentional. We need to change recruitment processes so that more women run, adopt fair voting systems so that more women win and embrace legislative practices so that more women can serve and lead. • We need to improve recruitment. This entails challenging the institutions that influence who seeks office – PACs, donors and political parties – to set targets for the number of women candidates they recruit and support. A new study by Representation2020, Common Cause and the Center for Responsive Politics found that funders are neglecting women running in open-seat races — where they have the greatest chances to win. Setting voluntary targets and increasing support to candidates in open-seat races can help fuel the election of more women. • We need fair voting systems that give people the power to choose their representation. Research has shown that ranked-choice voting creates openings for women, third parties and major parties in areas that have been one-party strongholds. Mainers will elect their next governor along with congressional seats and state legislators using ranked-choice voting in 2018. • We need to promote better legislative practices for collaborative policymaking that can help women — and men — juggle the demands of family and their elected office. Proposed changes include better on-site child care, paid leave, virtual or proxy voting, leadership selection processes based on merit and intentional actions to elevate women to leadership positions. We have strong precedents for such changes. Title IX leveled the playing field for girls and women in education and athletics, while the Voting Rights Act addressed voting barriers. Republicans led the way to enact gender balance for their state and national party committees as well as convention delegates from many states, with the Democrats following suit. Maine is uniquely positioned to advance gender parity in the state and nationwide. Innovative strategies like ranked-choice voting challenge the status quo and bring new, talented voices to elected office. The future is promising, but we must be intentional to make gender parity a reality in our lifetimes. Cynthia Richie Terrell is founder and project director for Representation2020.